With over 14,000 members in the U.S. and abroad, RID is the largest, comprehensive registry of American Sign Language (ASL) interpreters in the country! Easily reach our members through our eNEWS, VIEWS, and website/ social media platforms for your company or organization’s job announcements, events, and promotions. Interactive opportunities available to engage your potential customers and clients in a way that is unmatched. Need a customized package or design? No problem! We can create an advertising package to suit your needs. To get started, browse our advertising and visual media kits, choose a package best suited for your organization, and contact us today! If you are a current RID member or sponsor, don’t forget to ask about our special discounts. 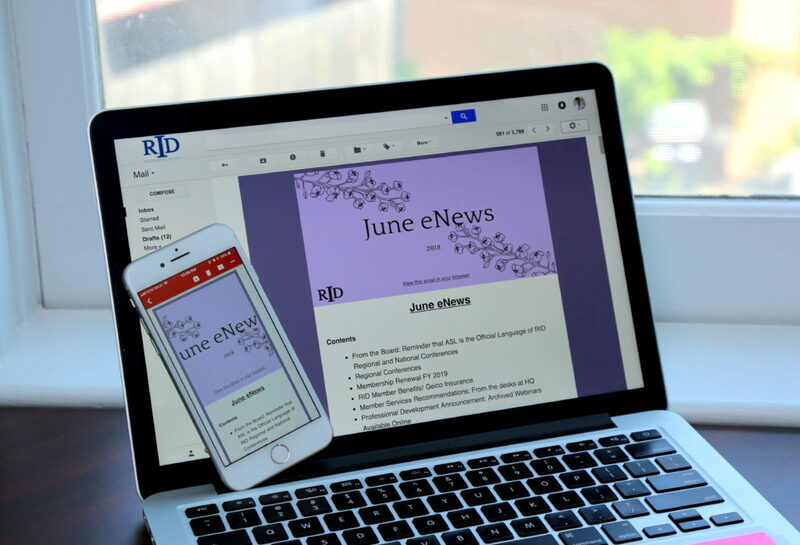 eNEWS, delivered right to the inboxes of over 14K+ RID members, is one of the easiest ways to reach the masses within the interpreting community. Announce your upcoming event, special promotions, and so much more with a multitude of different placement options suited to match your budget. Distributed eight times a year, this platform is a regular inbox-pleaser for our membership! 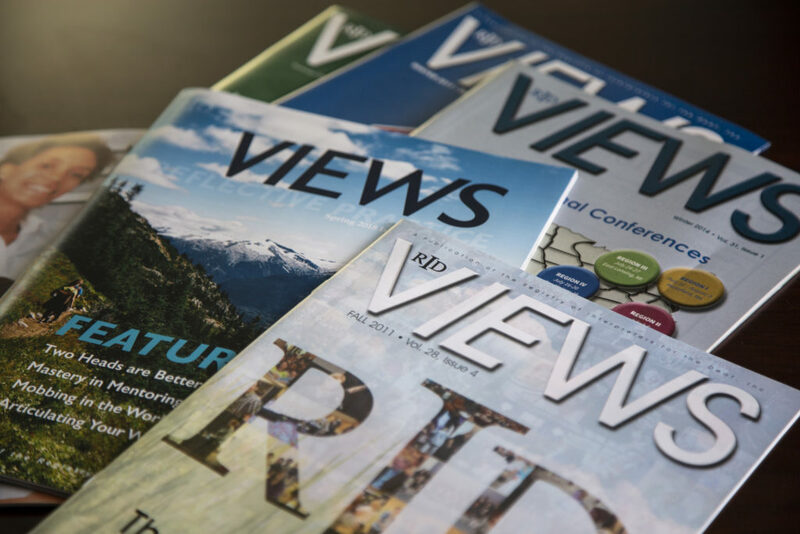 Our quarterly publication targets the interpreting community with the most influential, pertinent information about the interpreting profession and national standards. Completely digital, it has the ability to add an interactive flair to your advertisements you won’t find on many other platforms. Provide your organization’s announcement with the POP! of video capability, links, and more. This is the ideal real estate for your company’s content! Give your promotion a boost on our web and social media platforms, where job listings, event information, or CEU opportunities can reach up to 28,000 followers! 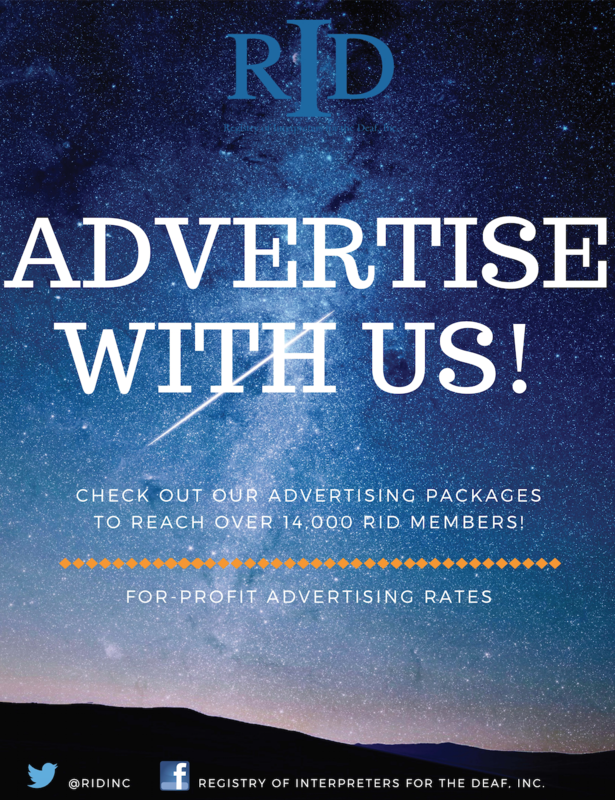 Be part of the conversation- Advertise with RID today! !